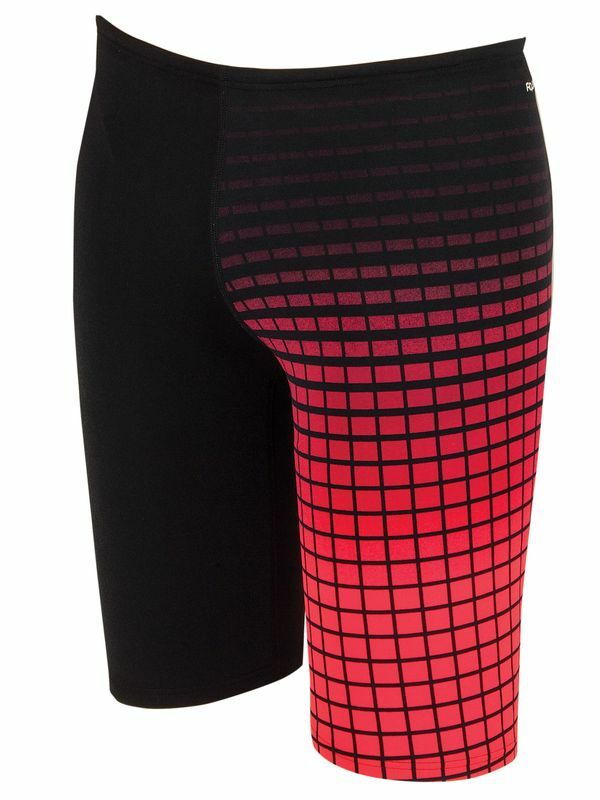 The Zoggs Red Darwin Mens Jammer is black with a red geometric square pattern on the left leg. These jammers feature 48cm legs and the Zoggs logo on the front. These jammers are perfect for swimming laps or pushing your body to the limit.